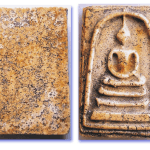 The greatest Pra Somdej Amulets are officially recognized as coming from one (or all) of the Royal temples; Wat Gaes Chaiyo, Wat Hmai Bang Khun Prom, and of course last but not least,Wat Rakang Kositaram. 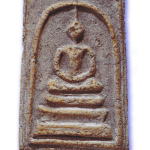 Most of these amulets are given a Puttapisek blessing ceremony in the temple where they were made, but then travel to at least two or three of the other temples to be laid under the ‘Pra Pratan’ (main Buddha statue in the shrine), and absorb the prayers of the Sangha (Monks), for further sacredness and power. 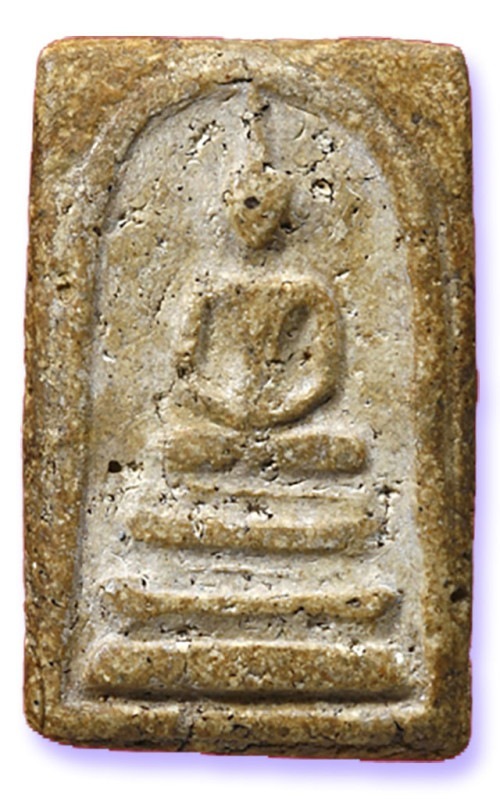 Pra Somdej is one of the ‘Benja Pakee’ official set of five national amulets of Thailand seen as the most sacred, desirable and representative of every region of Thailand. 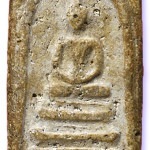 The Pra Somdej Amulet represents Central Thailand. 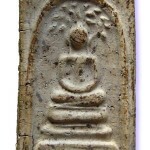 There are different Pim Song (shapes and sizes) of Pra Somdej, but those which are officially recognized and listed by the ‘wongarn Pra Krueang’ as far as Somdej Wat Rakang amulets are concerned, basically consist of five officially recognized Pim of Pra Somdej amulets; Pim Pra Pratan, Pim Chedi, Pim Brok Po, Pim Gaes Bua Dtum and Pim Thaan Saem. 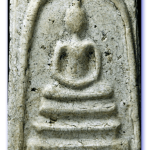 You can use the links for each different Somdej Amulet to read further details about the Phra Somdej amulet – King of all Thai Amulets.